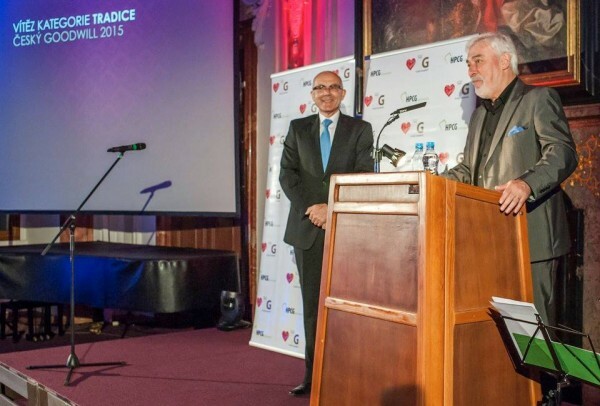 On 15th October, the third year of Czech Goodwill 2015 took place in the Terezian hall of Břevnov monastery in Prague. Czech Goodwill is a prestigious event that awards companies and businessmen respected by public. This year was special in many ways. Czech Goodwill received 95 valid nominations, 15 % more than last year. 62 companies got in the final stage of the evaluation, and this time, the value of prizes exceeded 750 000 CZK. A professional committee and public decided again about awards in the following categories: Tradition, Personality, Innovation, Partner and Backer. The title in the Tradition category went to Mgr. Zuzana Ceralová Petrofová. 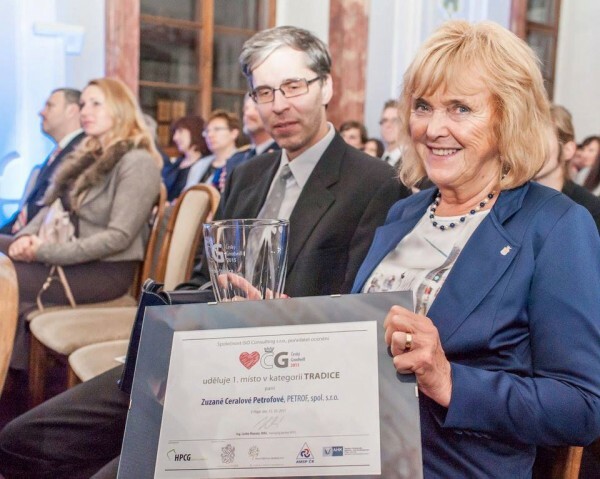 The prize was received by Mrs. Dagmar Petrofová.